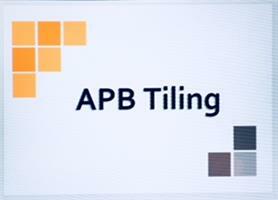 APB Tiling - Tiler - Tiling based in Cramlington, Northumberland. I am Phil Barron and I am proud to say this tiling service will help you create and develop the tiling job you are looking for. Professional, friendly service that is happy to go the extra mile to provide 100% satisfaction. Quality wall and floor tiling throughout, Cramlington, Northumberland, Newcaslte and North Tyneside.